WNBA great Maya Moore joins the podcast to talk about the importance of criminal-justice reform. 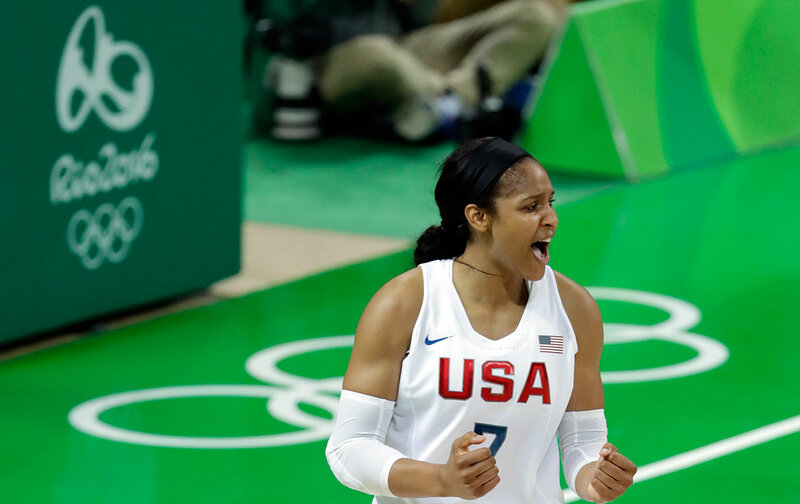 This week, we speak to a WNBA MVP and one of the greatest hoopsters to ever live: Maya Moore. We talk about her recent efforts to raise awareness about prosecutorial misconduct and mass incarceration. Later on the show, we have some Choice Words about Amazon’s sleazy search for a new corporate home and how stadium scams paved the way for this kind of graft. We also have Just Stand Up and Just Sit Down awards for Warriors coach Steve Kerr and the NCAA, respectively. We also got some Kaepernick watch and a very special announcement you won’t want to miss.